Even the most experienced event planners can fall into a rut of delivering the same event offering year after year. Loyalty recognition involves developing a program or strategy to locate your most loyal attendees, then building them into your early incentive or affiliate plan. It’s much easier (and cheaper!) to retain an existing audience than it is to find new ones. A recent Eventbrite survey found that 1 in 5 event goers are spending more on an event than the other 4 combined. Even more importantly, a 2014 study found that a 5% reduction in the customer defection rate can increase profits by up to 95%. If you’ve been running your event for a few years, the risk is your attendees may feel undervalued, or they’ll become bored of your event without an incentive to keep them coming back. If you start the loyalty recognition process too late, you may have already missed the boat. For example, let’s say you run a large annual festival moving into its third year. 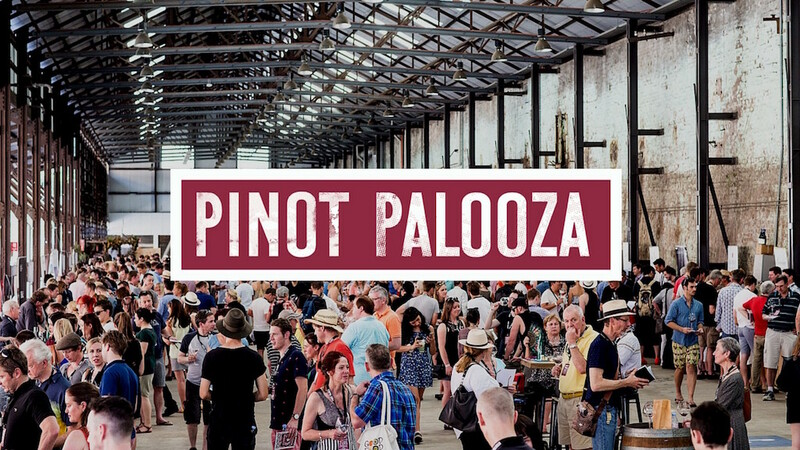 By looking at your attendee list from the previous two years and identifying who your most loyal fans are, you could kick off with presale tickets exclusive to this group, plus a 10% discount with a referral program for every friend they sign up. This is a great way to get some early buzz and advocacy from your loyal fans. If you’re using Eventbrite, you can use our Event Ninja integration to analyse your previous attendee list. Or, you can simply download your list into an Excel file and crunch the numbers there. By identifying who is coming to your events regularly and finding ways to reward them and encourage future attendance, you can turn them into ambassadors for your event or brand. You can also tap into their social networks for broader exposure and social marketing opportunities when you’re ready to start marketing your next event. 2. Focusing on a presenter, act or speaker over providing an experience. Headline acts may get you attention, but overall experience is what makes attendees come back for more. Melbourne’s Let Go Fest is a prime example of this. 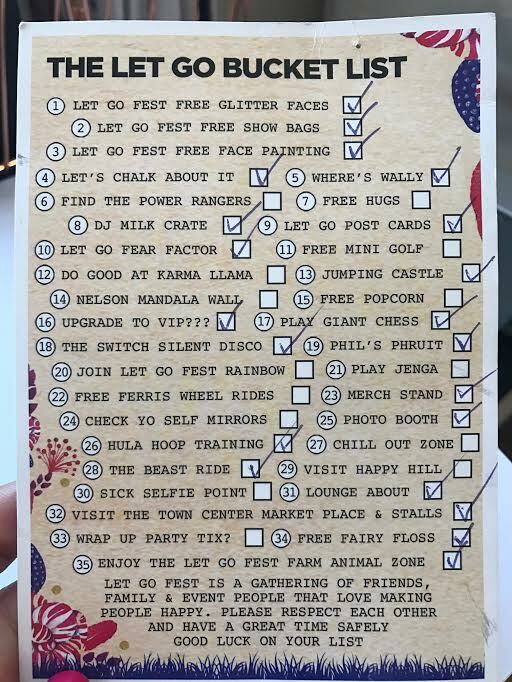 This all-day festival provides attendees with a postcard detailing activities on offer that the attendee should ‘check off’ as they complete. This makes the event so much more than just a music festival, and encourages attendees to stick around for the whole day, spending money and taking photos of themselves completing activities. Nothing sticks in an attendee’s mind more than long queues and a confusing event layout. Focusing on experience over one event aspect also spreads your risk. The danger with putting all your eggs in one basket is that if an act pulls out you may end up with a PR disaster on your hands or a lot of refunds to hand out! If you had a tool at your disposal that meant you never had to make a decision in blind faith or based on ‘gut feeling’ alone, wouldn’t you use that tool every chance you could? By placing unique tracking links and pixels on all your promotional activities, you can get a rich picture of which promotional efforts are giving you gains, and which you need to stop doing immediately. What geographical regions are most sales visits coming from? This could inform your decision to provide transport for a certain city and charge extra for a special ticket. Run an internal competition with each of your vendors as to who can sell the most tickets. Give each vendor a unique page link so you can see who’s promotional efforts paid off! Did a paid promotional placement result in a spike in page visits but not a lot of ticket sales? This could mean either the audience of the ad wasn’t in line with your event, or your event page itself needs some polishing. See also: Tipsheet: The 7 Essential Elements of a Sell-Out Event Website. You may be spreading your budget equally across all social media platforms, but if the majority of your ticket sales are coming from Facebook, for example, this is an indication to revisit your resource allocation. Read more about creating Eventbrite tracking links and Facebook tracking pixels here. 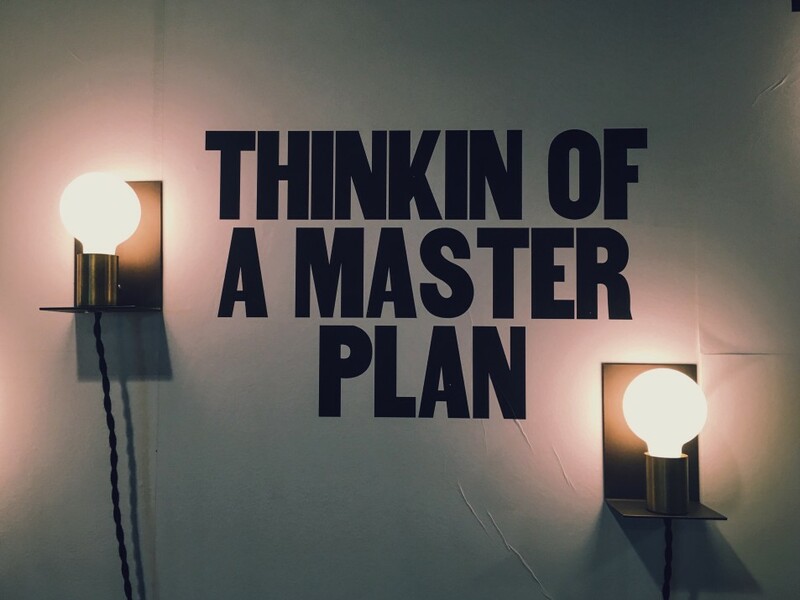 Tip: It’s easy to get weighed down in the numbers and suffer from ‘analysis paralysis’ (we’ve all been there!). Go into your data with a list of pre-prepared questions you want to know the answers to. This will guide you to look only at the numbers that matter! It’s a common situation that as the event approaches you get overwhelmed with urgent, low level tasks. Keep your head above water so you don’t deprioritise the activities that are most important to achieving your event goals. Every event goal has specific ‘key success factors’ that will make or break your event. What’s the most important thing you want to achieve from this event? Event goal 1: Raise brand awareness. Key success factors: Getting attendee engagement on social media, as well as investing in creating content and high quality photos you can use after the event. Event Goal 2: Identify additional revenue streams (vendors, partners, sponsors). Key success factors: Know your demographic audience so you can approach sponsors or partners who also want to go after this audience. Without hard data to show who your audience is, you’ll find it hard to convince a large brand to sponsor you. Event Goal 3: Retain existing audiences, reach new ones. Key Success factors: Developing a solid retention and loyalty recognition program is key to retaining existing audiences, while your promotional activities will be crucial to acquiring new ticket buyers. Event Goal 4: Create business opportunities. Key success factors: Focus on the key attendees you need to impress. Develop an on-the-day and follow up strategy to foster these relationships. Events are a competitive space to be in, and the more competitive your market, the more crucial brand recognition becomes. Obviously, if you want your event to project quality and professionalism, you should invest a good portion of your budget into logos, marketing and physical collateral. The next step is to make design choices based on the customer journey and purchase flow. What is the point of discovery for an attendee? Are your marketing activities driving people to your Facebook event page first, or your website? You don’t need to duplicate information on your ticketing page that the attendee already knows from visiting your website, and vice versa. Consider the customer journey as a series of steps, and craft your design and text choices based on what attendees need to see depending on where they are in the flow. 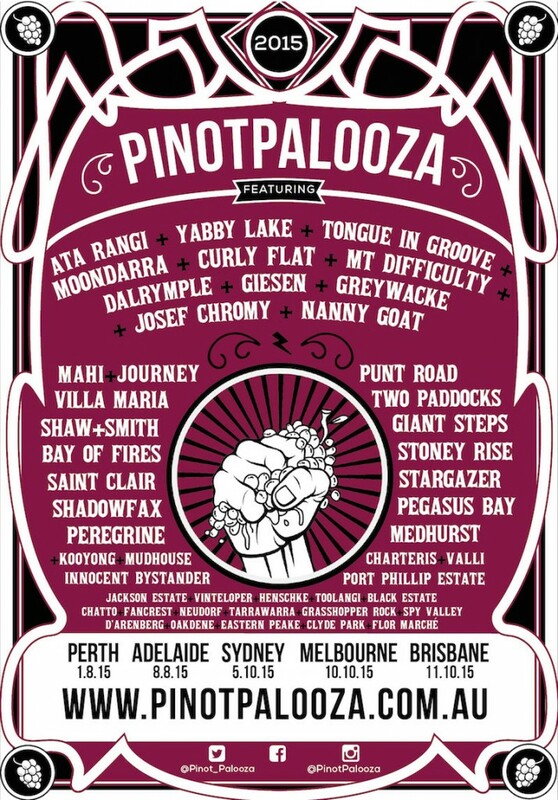 See how Bottle Shop Concepts does this with branding for their Pinot Palooza event below. They show different amounts of detail while still maintaining design integrity and a cohesive message. If you notice your traffic is dying during pre-sale, change up the design a bit. Even inverting your design colours (for example, switching the purple to the pink, and the pink to the purple) will result in an uptick in conversions. Tip: If you’re running Facebook ads, it’s a good idea to do this after the ‘frequency’ hits 2-3. This means the people in your audience have seen the ad twice already and haven’t clicked. It’s time to shake things up! Decide on a colour pallette (no more than 3 colours) to draw from when putting together social posts, invitations and any other marketing collateral. This will make all your materials look cohesive and will also save you a lot of time putting things together last minute! Ready to take your event to the next level? Download The New Rules of Event Sponsorship to learn how to attract and retain sponsors for your next event.